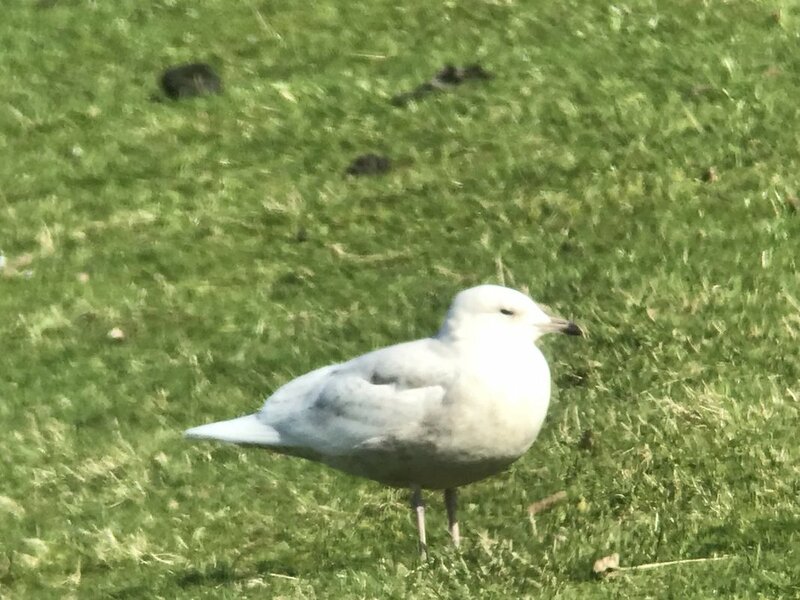 Easter Ross: 2CY Glaucous Gull at Fendom, Tain 500m west of Jan's Hppy Henery in field currently being ploughed at NH8041281652 (Dave Tanner). 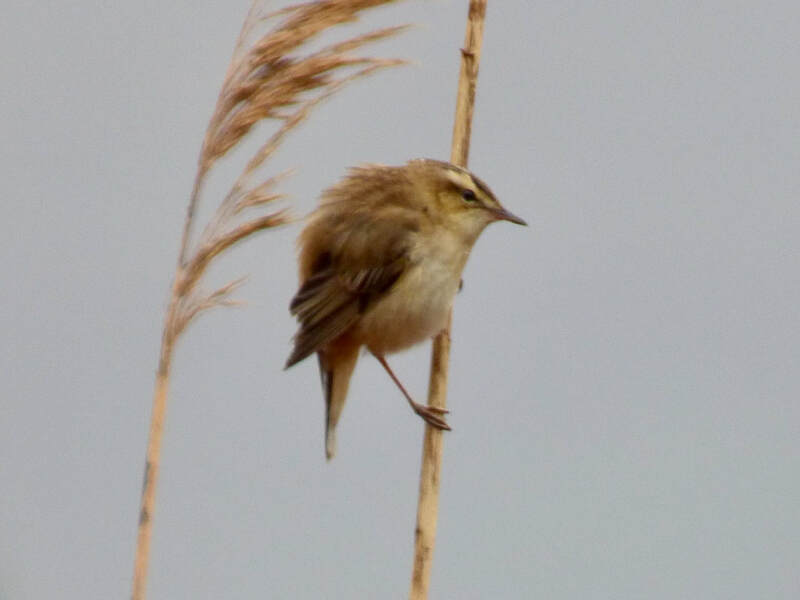 Sutherland: Temminck's Stint at Balnakeil Craft Village at 0950am (Dan Pointon). Black Tern on the beach at Melvich yesterday evening (per R Hughes). 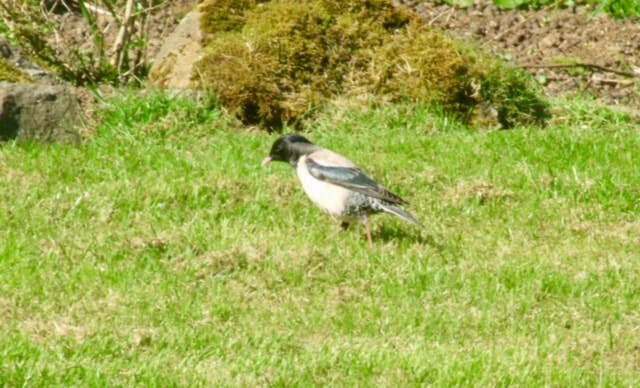 Skye and Lochalsh: Rosy Starling reported in Glen Conon, Uig at 1040am (A Benn). 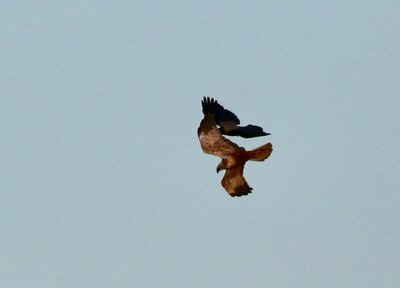 Badenoch and Strathspey: Female type Marsh Harrier reported at Lochindorb today flying south (I Ford). 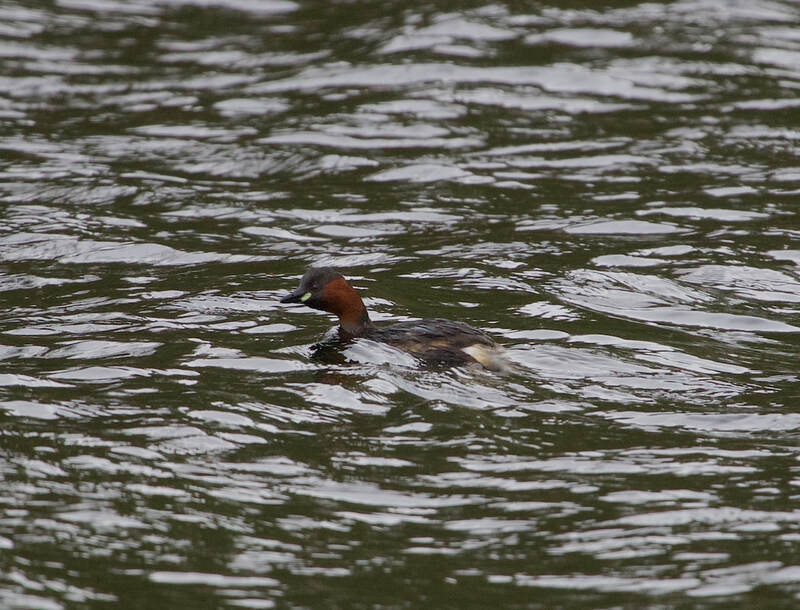 Lochaber: Adult drake Black Duck still at Strontian on the Strontian River near the fire station at 1220pm then flew down river (RBA). 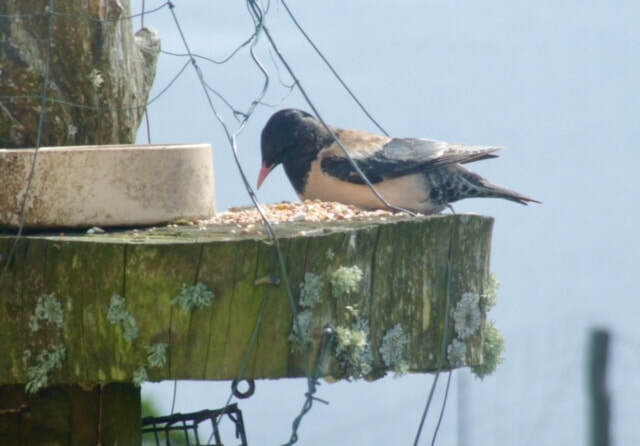 Late news of a Rosy Starling on Skye at Geary, Waternish Point between the 16-22 May, see images below. 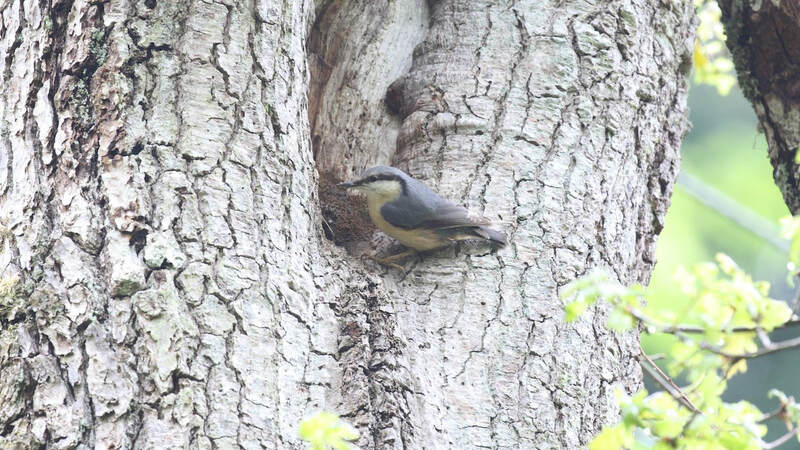 May have been the bird present at Strath near Broadford the previous week (per Bob McMillan). 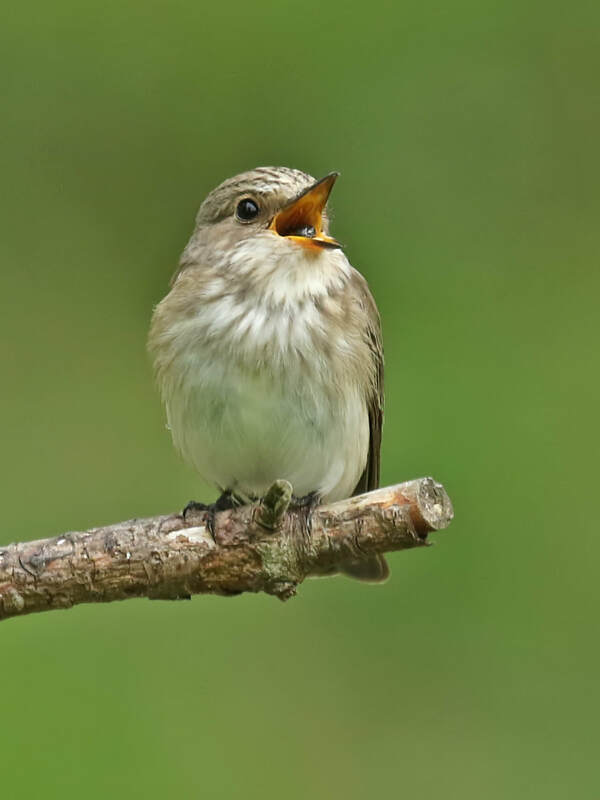 Rose-coloured Starling at Geary, Skye (Lesley Frost). 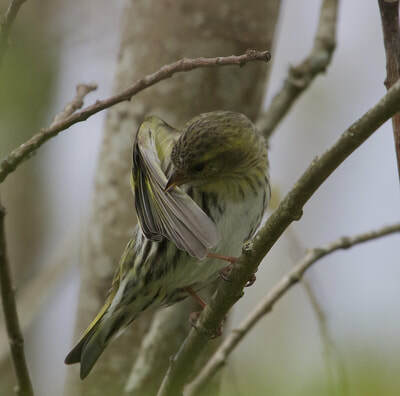 ​Wester Ross: Juvenile Iceland Gull still in Ullapool at 0949am (RBA). 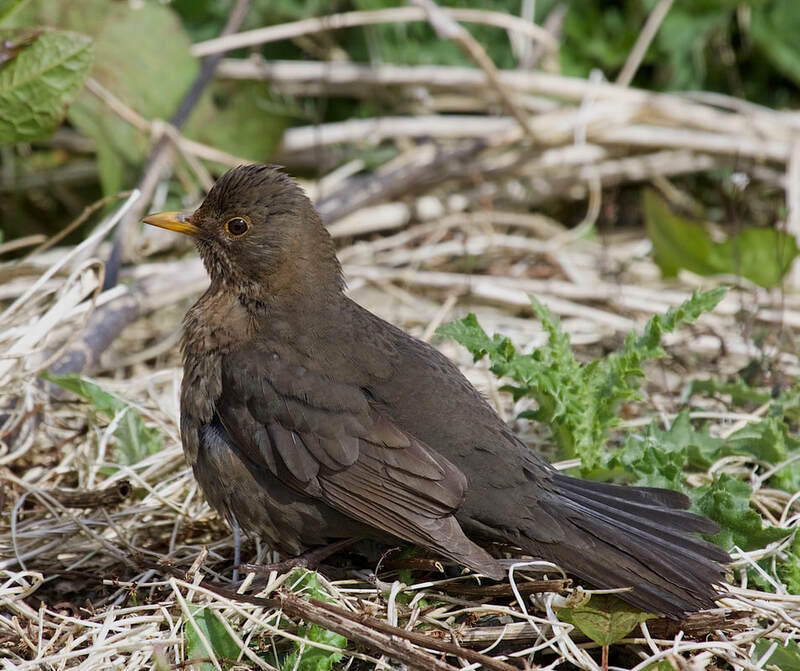 Lochaber: Adult drake Black Duck still at Strontian on the Strontian river upstream of the second bridge at 2030pm (RBA). 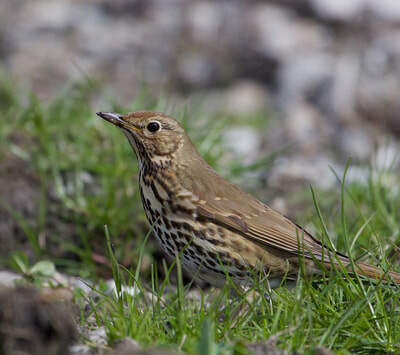 Easter Ross: Quail calling from an area of rough grass on the Heights above Dingwall (S Cohen). 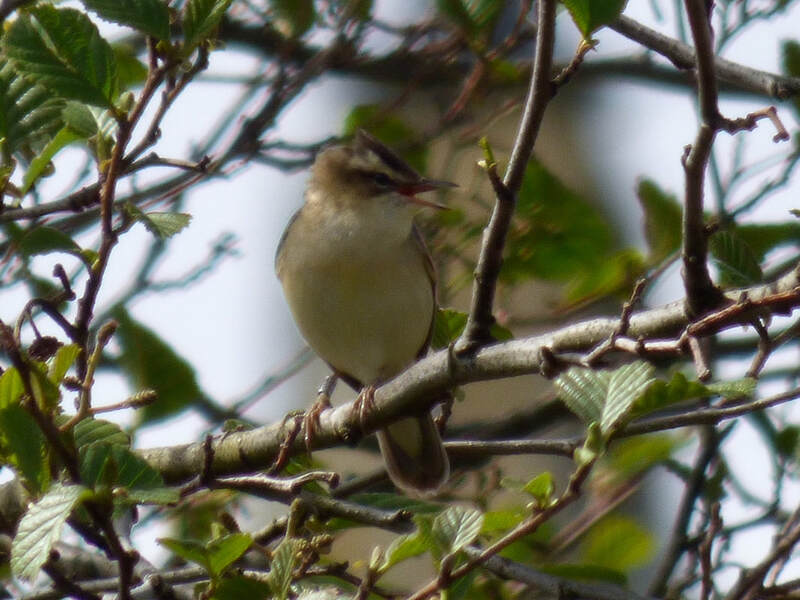 Badenoch and Strathspey: At Craigellachie this morning; Wood Warbler - 3 seen/singing, Pied Flycatcher - one seen/singing, Tree Pipit - 2 singing, Spotted Flycatcher - one singing/at least four others contact calling, Cuckoo - male calling and a Treecreeper with a brood of 3 (Mike Crutch). Wester Ross: Juvenile Iceland Gull at Ullapool Point still this morning (RBA). Skye and Lochalsh: 4 Long-tailed Skuas flew past Waternish Point, Skye (Skye Birds). Sutherland: Red-rumped Swallow reported on wires at Armadale at 8am (RBA). 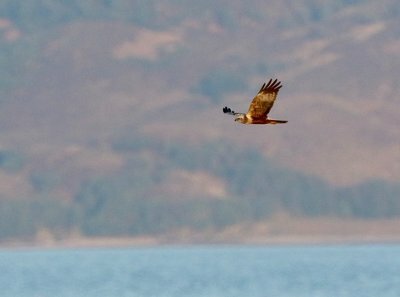 Skye and Lochalsh: A young male Marsh Harrier at Kinloch, Sleat, tonight, moving north and being roughed up by Hoodies, only the 4th record for Skye in the contemporary period (Bob McMillan). Marsh Harrier on Sleat (Bob McMillan). 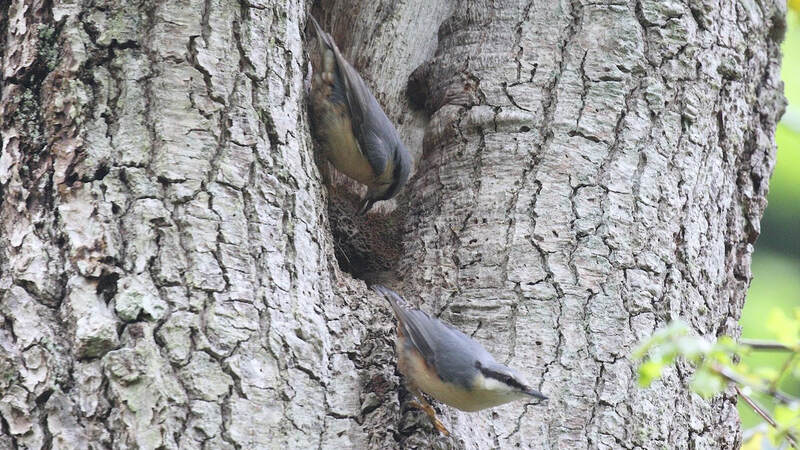 Marsh Harrier on Sleat (Bob McMillan)..
Inverness-shire: A pair of Nuthatches were found nest building at a site in Inverness-shire this morning (Peter Stronach). The exact location will be disclosed following the breeding attempt, there has never been a successful breeding attempt in Highland before. Easter Ross: Adult White-billed Diver, moulting into summer plumage, southwest past Tarbat Ness into the Dornoch Firth (Dave Tanner). This morning at Chanonry Point, in 1.5 hrs, Manx Shearwater 2, Arctic Skua 2, Gannet 20+, Kittiwake 25+, Sandwich Tern 3, Common Tern 30+, auks 350+ (approx 90% Guillemots), Red-throated Diver 2, Fulmar 6. 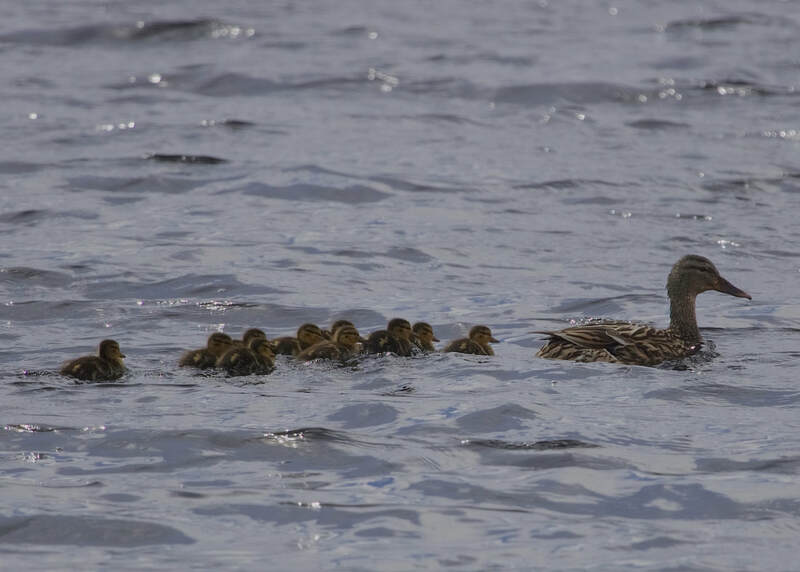 Lochaber: Drake Black Duck reported again at Strontian river mouth at 1845pm (RBA). 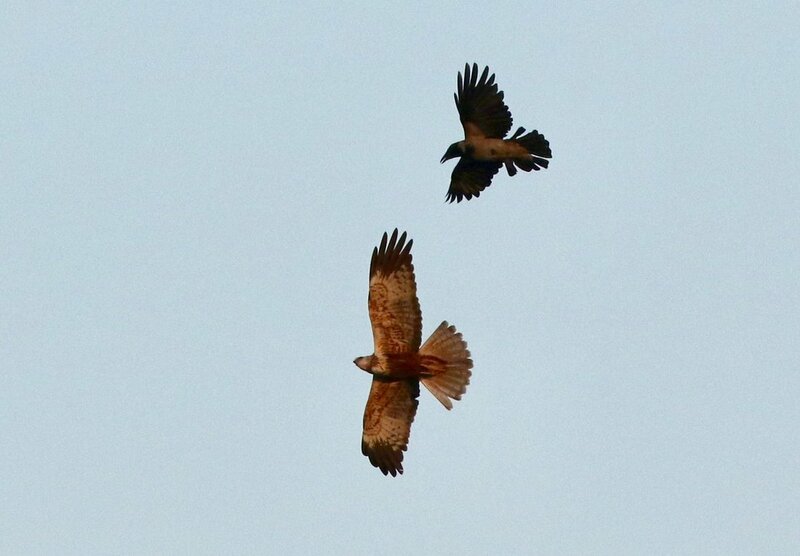 Skye and Lochalsh: Now "two" Magpies on Skye near Elishader (Skye Birds). 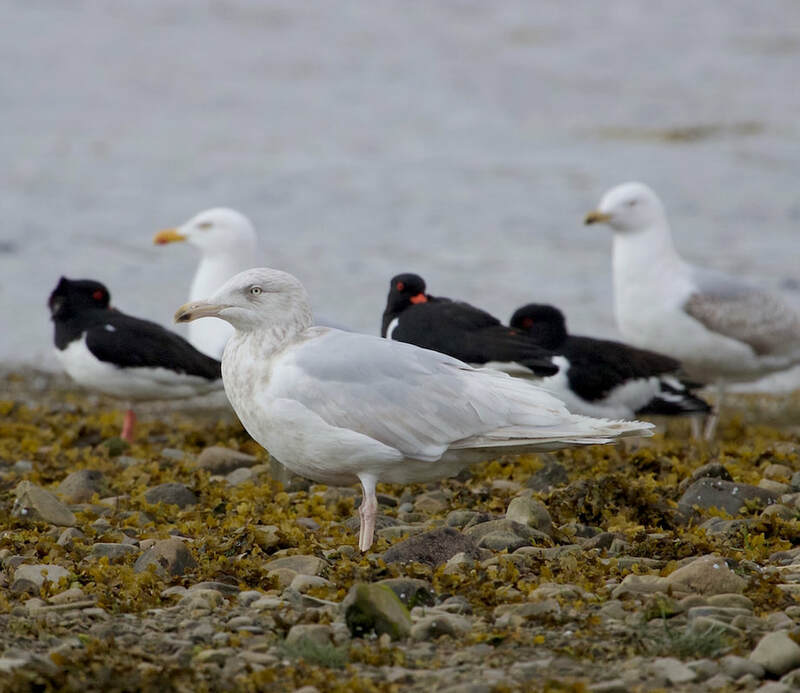 Wester Ross: Two Iceland Gulls at Ullapool point today (Birdguides). Easter Ross: Adult male Velvet Scoter past Tarbat Ness this morning (Dave Tanner). 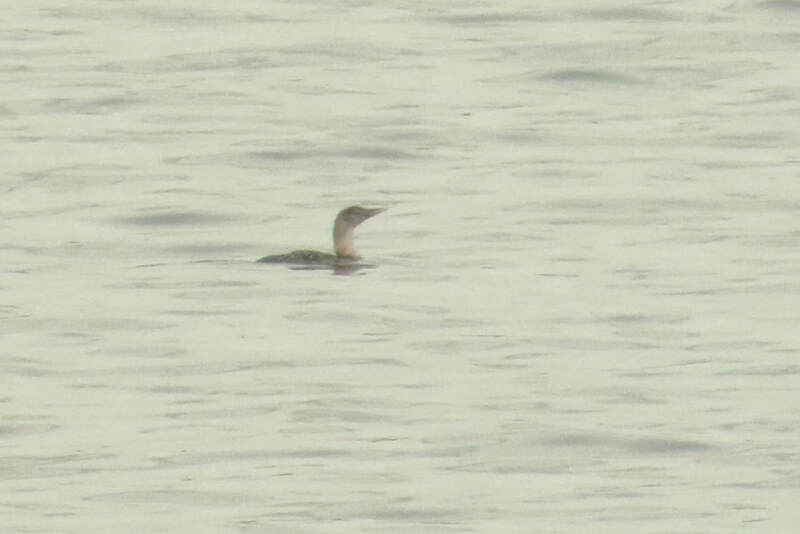 Sutherland: White-billed Diver to the north of Talmine, Tongue this evening (James Hanlon). 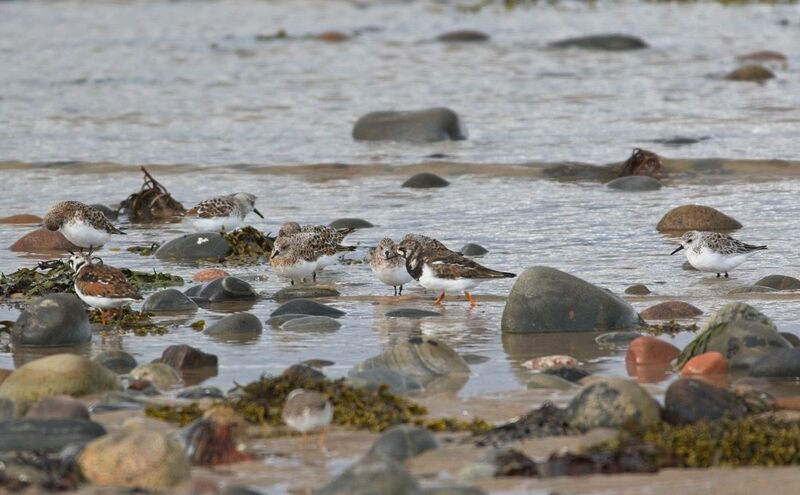 Easter Ross: First-summer Little Gull flew southeast this morning past Tarbat Ness (Dave Tanner). 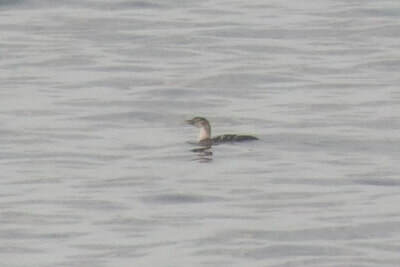 White-billed Diver at Talmine, Sutherland (James Hanlon). 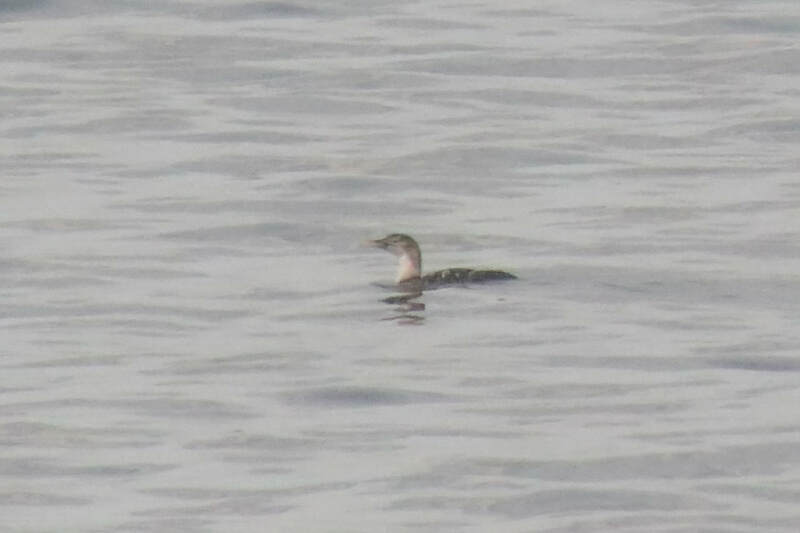 White-billed Diver at Talmine, Sutherland (James Hanlon)..
Walrus present on beach at Kinlochbervie at northeast end of Loch Clash this morning!. 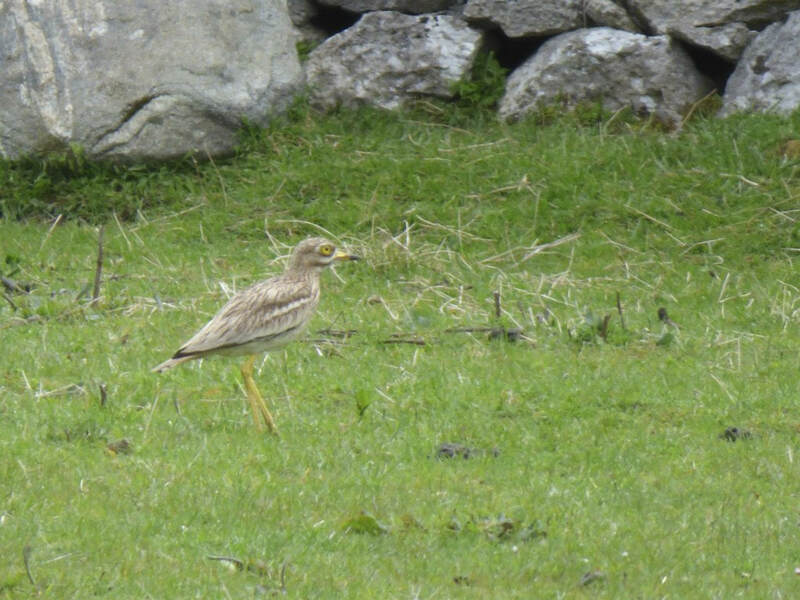 Sutherland: Stone-curlew at Balnakeil in field opposite the craft centre entrance (Colin Leslie), also 17 Whimbrel and 2 Gadwall. Stone-curlew at Balnakeil Craft Village (Colin Leslie). 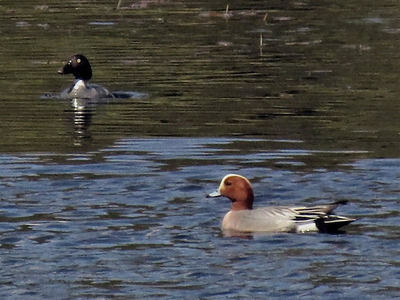 Wigeon at Avielochan (Jack Harrison). Easter Ross: At 1030am this morning, 4 Whimbrel headed east over Chanonry Point (Mary Galloway). 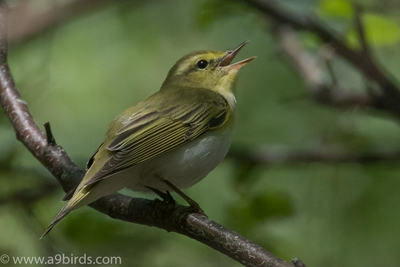 Grasshopper Warbler singing and showing well along the minor road opposite Munlochy Church (Bob Wilson). Wester Ross: Juvenile Iceland Gull in Ullapool harbour (Birdguides). 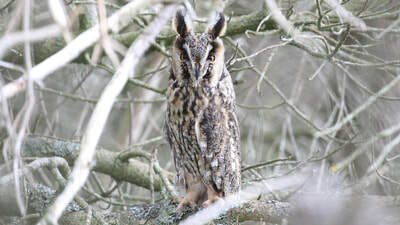 Easter Ross: Hobby flew over Dornoch this morning (Dean MacAskill). 2 Swifts over Lochluichart ' village' (Simon Cohen). 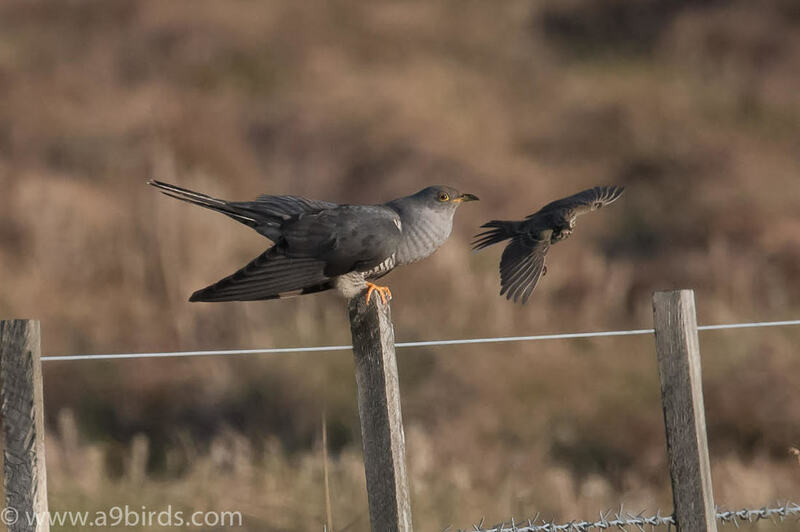 Sutherland: Hobby at Balnakeil photographed this evening (Scott Wotherspoon). 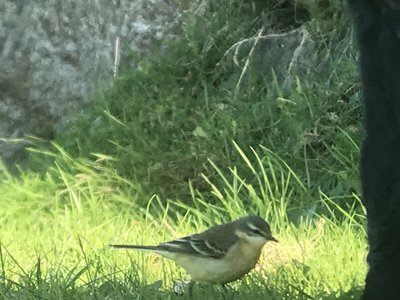 Sutherland: Female Yellow Wagtail still at Balnakeil, also a male present briefly (Keith and Rosie Barnes, Scott Wotherspoon). 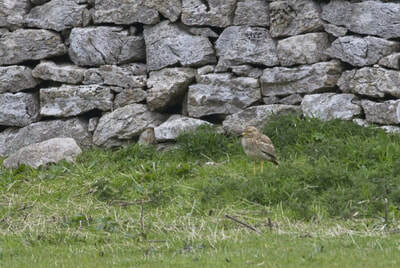 An Iceland Gull on the beach this morning and then inland on fields later on in the day. Inverness-shire: Magpie at Smithton (Colin Leslie). 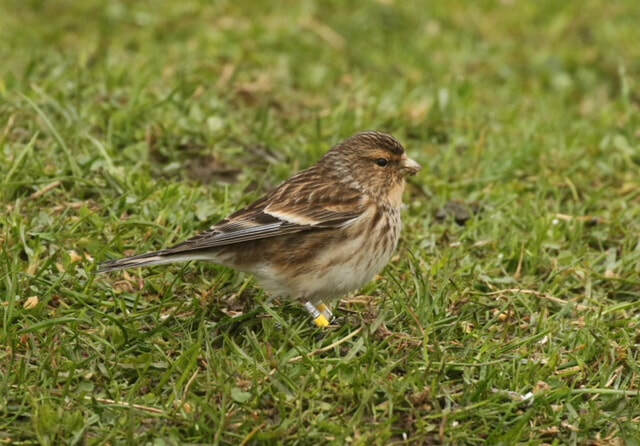 A colour-ringed Twite seen and photographed (below) by Roger Hewitt on the 23rd April 2018 was caught and ringed on the 20th January 2017 at Montrose Basin where it was wintering. 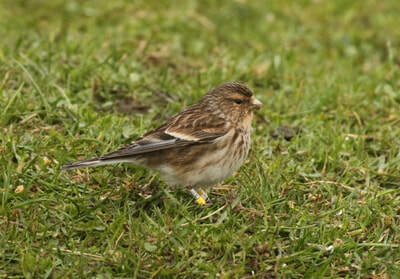 This is the 10th Montrose Basin wintering Twite to be found on Skye. 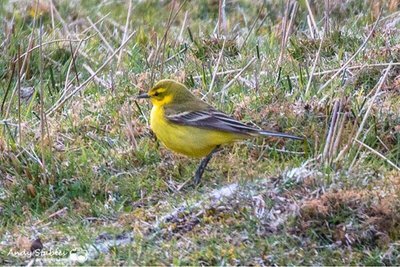 Yellow Wagtail at Balnakeil (Scott Wotherspoon). Sutherland: Female Yellow Wagtail at Balnakeil this morning (Keith and Rosie Barnes). 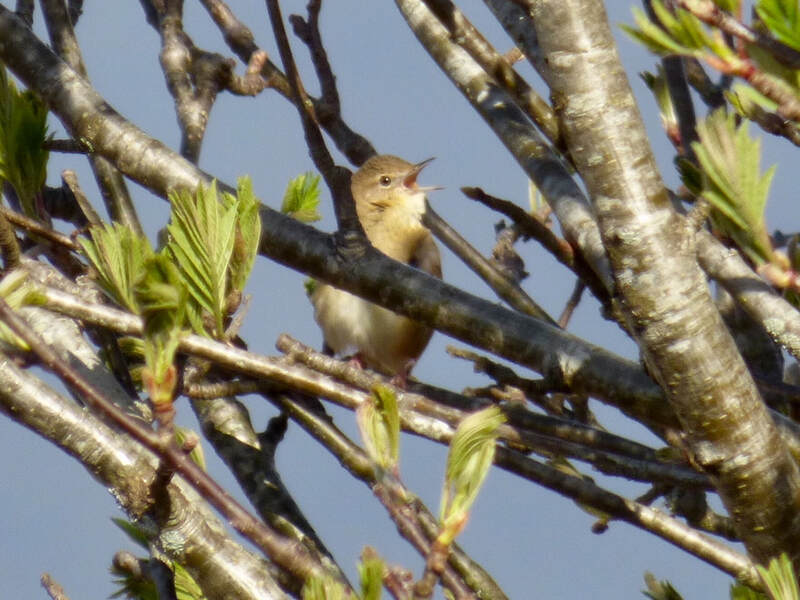 Skye and Lochalsh: Adult Rose-coloured Starling reported at Suardal, Strath NG622210 (per Martin Benson). 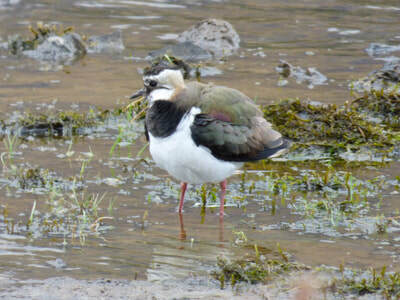 Inverness-shire: A pair of Shoveler at Alturlie Pools this morning at 11.00am also a drake Ringed Teal (Bob Wilson). Easter Ross: 4 Black-tailed Godwits in Dingwall Bay and still ca.300 Pink-footed Geese at the mouth of the Conon river (Andy Williams). Little Gull in Embo today flew past at 1738pm (RBA). 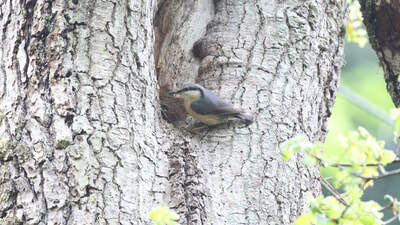 ​Lochaber: Nuthatch reported at Fersit. 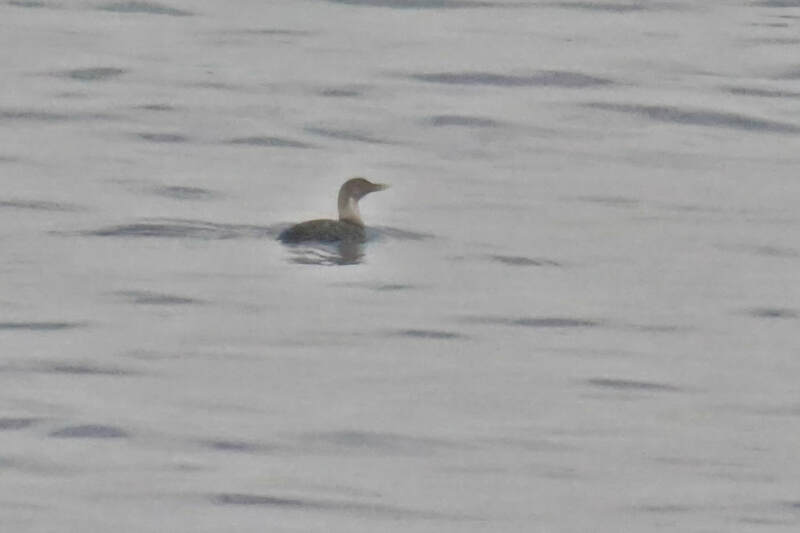 Easter Ross: Drake Surf Scoter still off Balnabruach, Portmahomack this morning, though distant and with flock of 2000 Common Scoter and 300+ Long-tailed Duck (Dave Tanner). 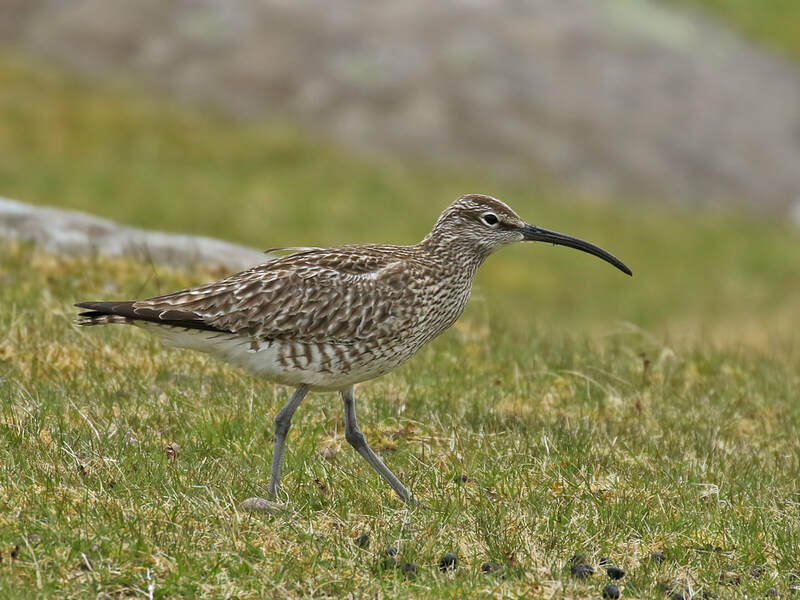 Viking Gull still in Ullapool (Andy Williams). 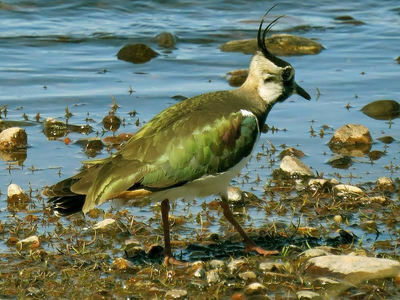 Badenoch and Strathspey: Wholly unconfirmed sighting of Pratincole sp. circling Lochindorb yesterday (per John Poyner). 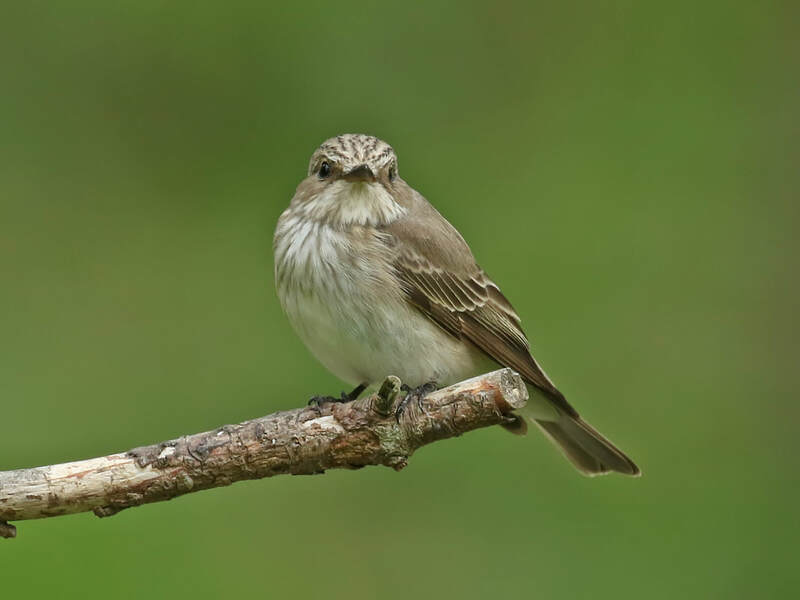 No sign of the Nuthatch today at Loch an Eilein, but a single Pied Flycatcher signing along the south end track (Steve Broyd). 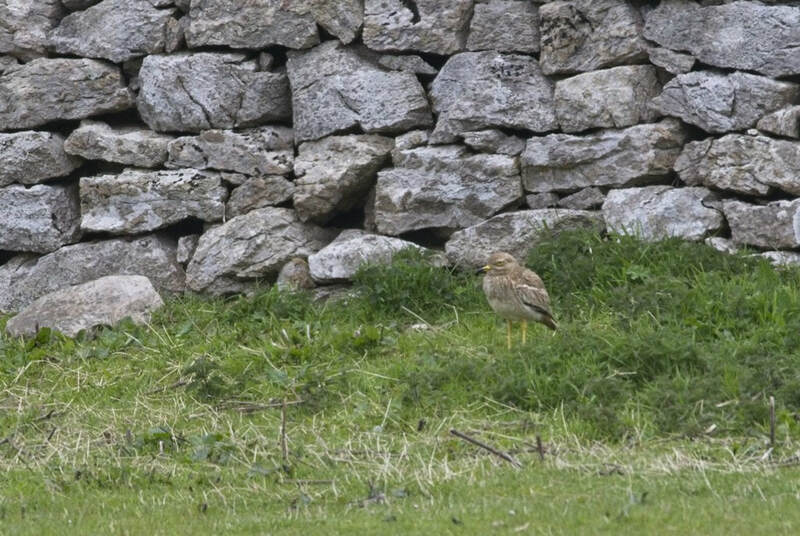 Sutherland: Drake Green-winged Teal still at Balnakeil tonight (Scott Wotherspoon). Lochaber: Drake Black Duck reported at Strontian on the Strontian River this afternoon (RBA). 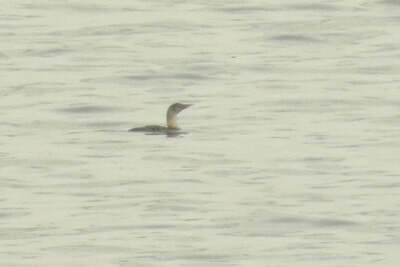 Easter Ross: Drake Surf Scoter off Balnabruach, Portmahomack early morning and then again briefly in the evening. With a large flock of c.2000 Common Scoter and Long-tailed Duck, best viewed at high tide. A Curlew Sandpiper, moulting adult, in Udale Bay recently (Mark Finn). Sutherland: Nuthatch seen and photographed at Rogart yesterday. 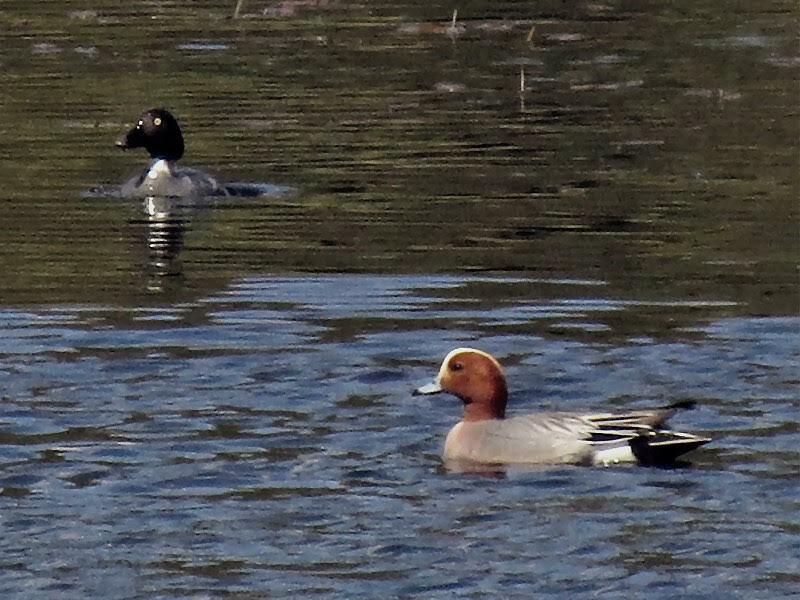 Drake and female Garganey at Balnakeil today and a drake Green-winged Teal (Scott Wotherspoon). Single Pomarine Skua at Embo (Mark Finn). 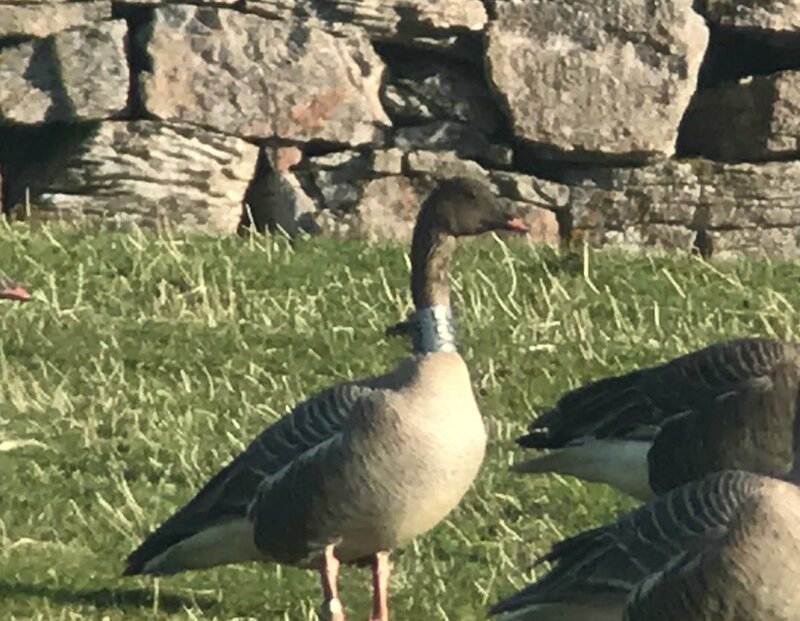 A neck-ringed Pink-footed Goose "XBF" seen at Balnakeil today was ringed at High Selling in Norfolk on the 18th January 2018 as a juvenile, thanks to Kane Brides for the ringing information. Sutherland: Greenland White-fronted Goose with 300 Pink-footed Geese at Balnakeil Farm today (S Wotherspoon). Inverness-shire: Whitethroat at Fort George today (Colin Leslie). Sutherland: Pomarine and Arctic Skuas in Balnakeil Bay (S Wotherspoon). Lochaber: No sign of the Black Duck at Strontian today (RBA). 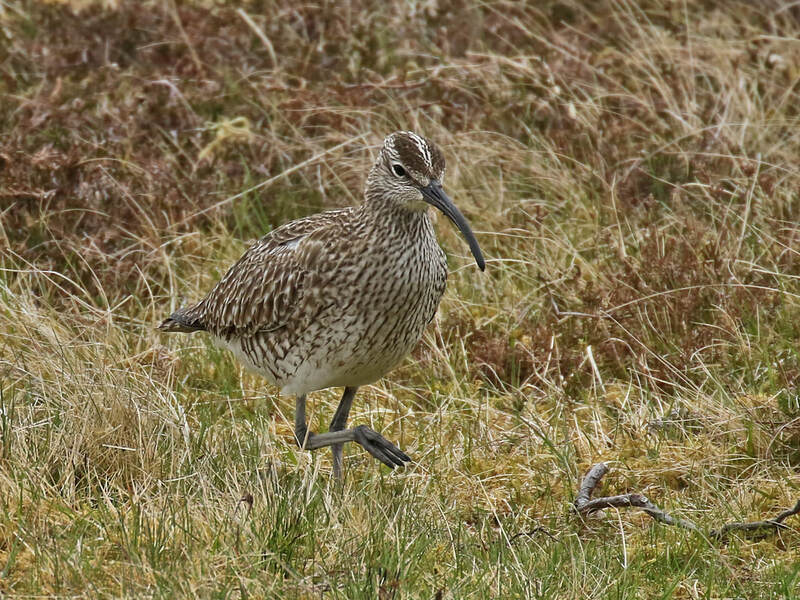 Skye and Lochalsh: Juvenile Glaucous Gull still at Uig, Skye today. 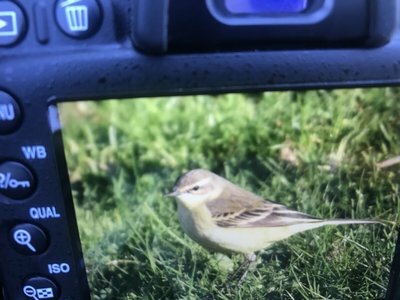 Inverness-shire: At Fort George this evening 34 Knot, 14 Sanderling, 4 Dunlin, 2 Whimbrel, 1 White Wagtail and 3 Arctic Terns (Colin Leslie). 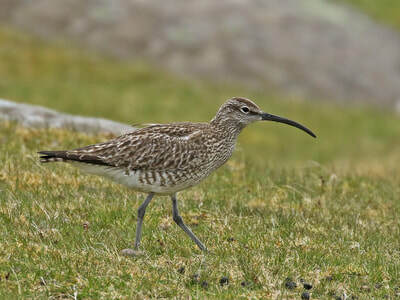 Whimbrel at Badentarbat beach (Keith Barnes). 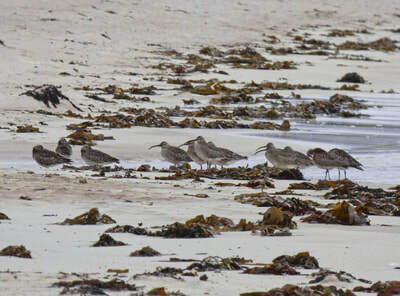 Wester Ross: 14 Bonxies and 12 Puffins on the highland side of the Ullapool-Stornoway sailing today (Andy Williams). Skye and Lochalsh: ssp flavissima Yellow Wagtail still at Neist Point this morning until everything flushed by a Peregrine at 0830am (Bob McMillan). Badenoch and Strathspey: 3 Wood Warbler and 2 Tree Pipits, and two Common Sandpipers at Craigellachie today (Alan MacAskill). 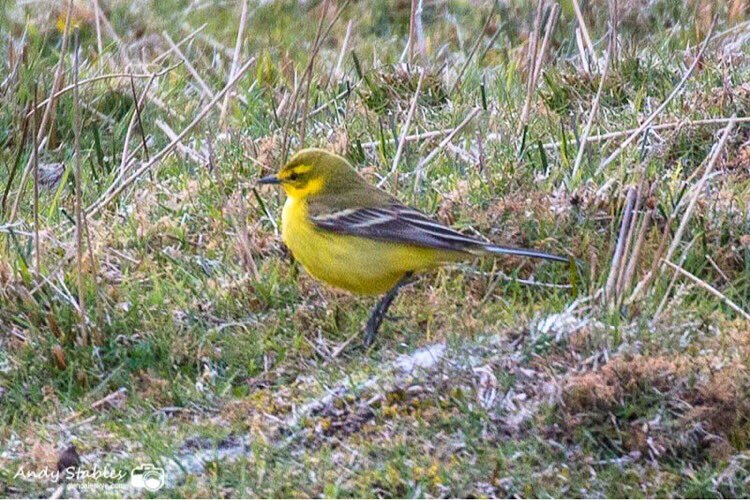 Skye and Lochalsh: ssp flavissima Yellow Wagtail at Neist Point today at NG1433048807 (Lynden Schofield). 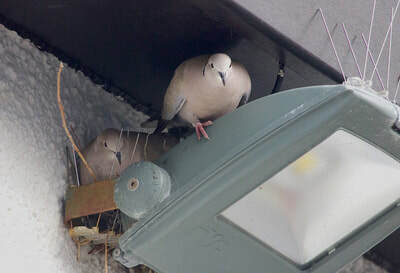 Wester Ross: Iceland Gull in Ullapool today (Andy Williams). Lochaber: Adult Iceland Gull on Eigg (John Chester). 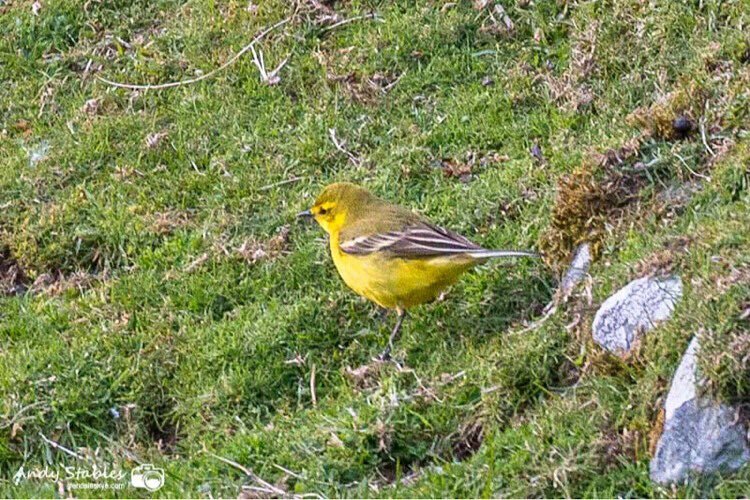 Yellow Wagtail at Neist Point (Andy Stables). 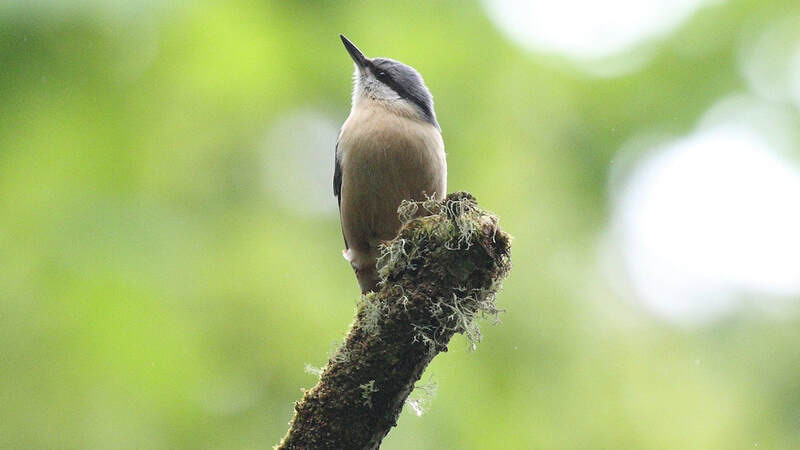 Badenoch and Strathspey: Nuthatch reported at Loch an Eliein today in km square NH8907 (I Ashworth). Wester Ross: No sign of the first-winter Ring-billed Gull at Ullapool river mouth today despite a thorough search (A Williams). 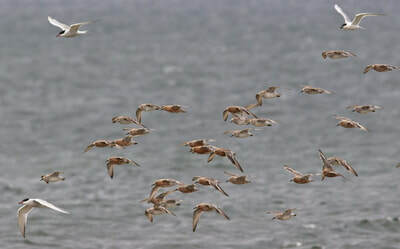 Easter Ross: Immature Iceland Gull in flight over Dingwall Business Park today at 12:30pm (Simon Cohen).